DAVID KENT WYATT died 14 November 2006 at the Hospicare Residence in Ithaca, New York, at the age of 69. David was born in Fitchburg, Massachusetts on 21 September 1937. He spent his childhood in Waterloo and Cedar Rapids, Iowa. He was the oldest of five children and is survived by his brothers John Wyatt (Easley, SC), Richard Gist (Columbia, MD), and sisters Deborah Stanberry (Prosser, WA) and Penelope Saulnier (Fitchburg, MA). David took enormous pride and joy in his wife of 47 years, Alene Wilson Wyatt, their three sons, Douglas, Andrew (Barbara Cain), and James (Amy), and their five grandchildren, Eric, Simon, Tim, Sarah, and Carter. David graduated from Harvard College in 1959 with a degree in philosophy, and received his Ph.D. in Asian history from Cornell University in 1966. He taught Southeast Asian history at the School of Oriental & African Studies, University of London (1964–69), and then at the University of Michigan (1969–70). In 1970, David accepted a tenured position at Cornell, where he was promoted to a full professorship in 1975 and the John Stambaugh Professorship of History in 1994. In his years at Cornell he served as Director of the Southeast Asia Program (1973–76) and chairman of the Department of History (1983–87 and 1988–89). He also served as President of the Association for Asian Studies in 1993–94. Wyatt’s publications exceed a hundred items, including eighteen books. His Thailand: A Short History, now in its second edition, has been in print since 1984, while his most recent book, Books, Manuscripts, and Secrets will be published in 2007. 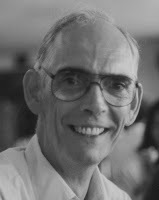 His academic work established him as one of the preeminent historians of Thailand, and his former students hold positions at universities around the world. He derived great pleasure from a long career on stage. He sang leading roles and chorus parts with equal delight in countless Gilbert & Sullivan operettas produced by the Cornell Savoyards. He played the role of Cervantes/Don Quixote in the 1983 Ithaca Players production of Man of La Mancha, and also appeared in various operas and dramas. A celebration of David’s life will take place at Kendal at Ithaca on Saturday, 18 November at 4:00 p.m. Memorial donations can be made to two funds at Cornell established in his name. The David Wyatt Fund of the Southeast Asia Program will be used to bring students from Southeast Asia to use Cornell resources (c/o SEAP, 180 Uris Hall, Cornell University, Ithaca, NY, 14853). The David Wyatt Fund of the Echols Collection will be used to acquire additional resources for that collection (c/o Marisue Taube, 701 Olin Library, Cornell University, Ithaca, NY, 14853).